I've talked a lot about crochet, knitting and baking in this blog, but after eight posts, I still haven't really talked about anything astronomy-related. 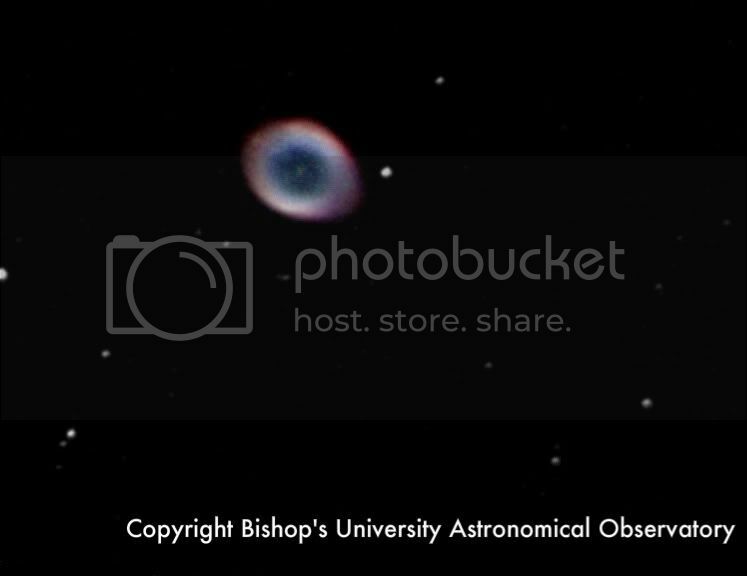 Looking through some old pictures, I noticed a photo taken by the telescope at the Bishop's University Astronomical Observatory, where I used to work over the summers. I didn't take the picture myself, but I did combine the images taken with three different filters in order to create this colour-composite image, the first I'd ever attempted.